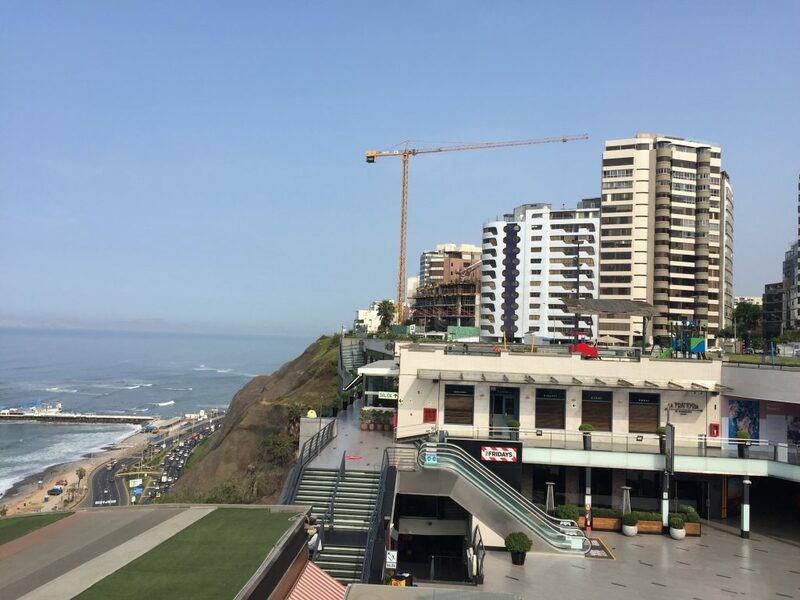 We visited Miraflores, a neighbourhood of Lima, over the January 26 to 29 weekend. These are notes intended for a Canadian considering visiting Miraflores. We flew Interjet from Mexico City. Their A320’s have very generous legroom. I could cross my legs and work on a laptop. It was great. Thinking back, given that Interjet competes with Air Canada Rouge on the Toronto-Mexico city route, each seat is better than Air Canada Rouge Premium, on a more reliable aircraft type. Something to consider. (Though, I would not transfer through Mexico City given that one has to go through general customs and re-enter the building, it isn’t a fantastic transfer point). We cleared in under five minutes minutes. This may not be typical. Lima’s rush hour runs 6pm to 9pm. And we arrived around that time. The traffic is thick. You can take the airport bus down to Miraflores. We chose a taxi. It cost sixty sols to get to Miraflores. Our taxi took us along the beach. The cliffs are made a sand / gravel / rounded basalt mix that’s prone to erosion. The authorities have draped the cliff in mesh. As to why plant life just doesn’t love to cling to it and stabilize the entire fact, it’s because it’s dry. 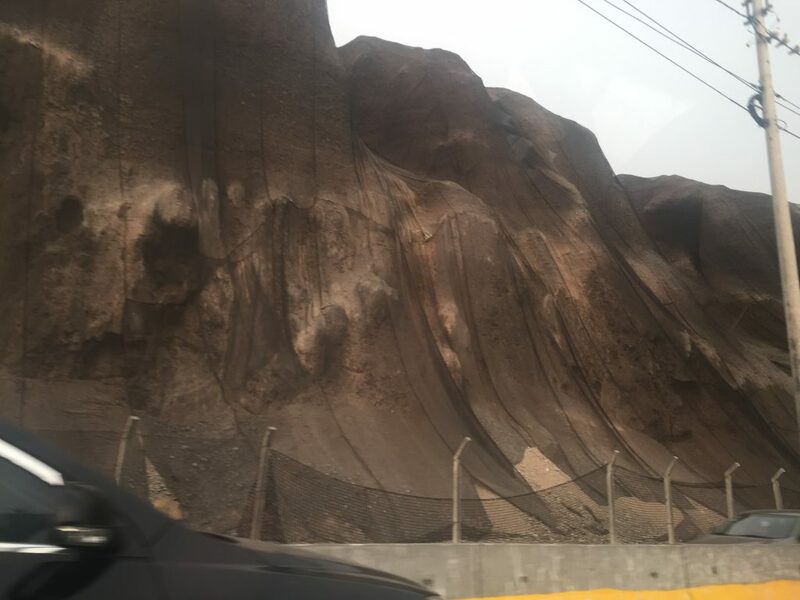 Lima is in a desert. It’s strange weather. It’s muggy, but it doesn’t rain and we did note experience an evening thunderstorm. The temperature ranges from 23 to 29 degrees with humidity in the mid to high sixties. It alternates between sunny and partly cloudy. The muginess is less oppressive than Singapore, but not nearly as dry as you’d get from a regular desert (like Cabo). I’ve never experienced anything quite like it. Miraflores is an outlier. It isn’t Lima. It’s kind of like visiting Eaton Centre and lower Yonge Street and concluding that that is what Toronto is. Toronto is more Eaton Centre than Miraflores is Lima. 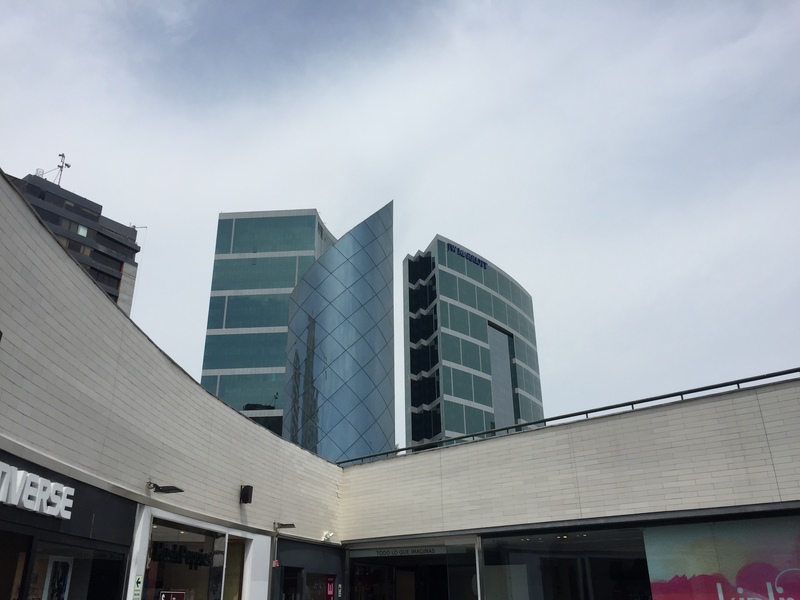 There’s a mall at the base of Avenue Jose Larco, Larcormar, which is surrounded by some residential and commercial density. There’s security stationed at regular intervals along the street. There are banks, casinos, shops, and restaurants. It’s a bubble. But a nice one. The views from here are beautiful and it’s a very nice environment. 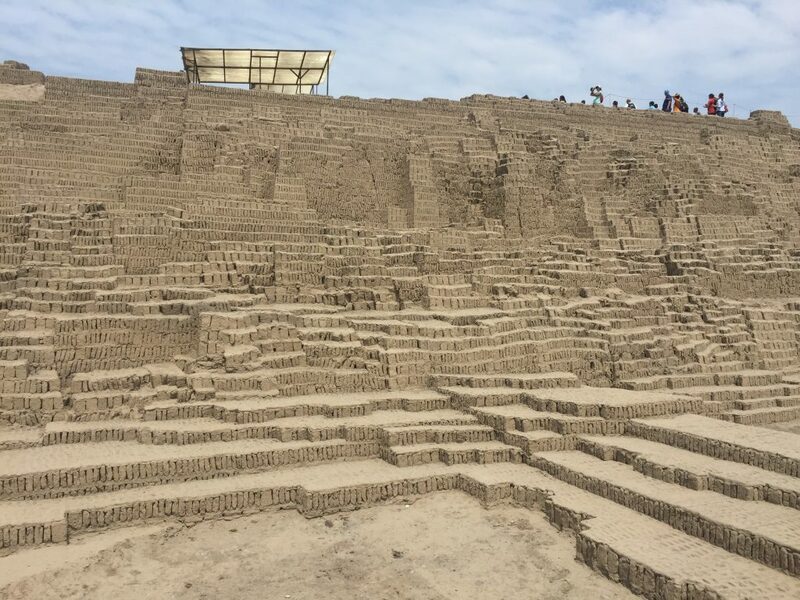 Huaca Pucllana is a nice site in the centre of Miraflores, a 30 minute walk from Larcomar. 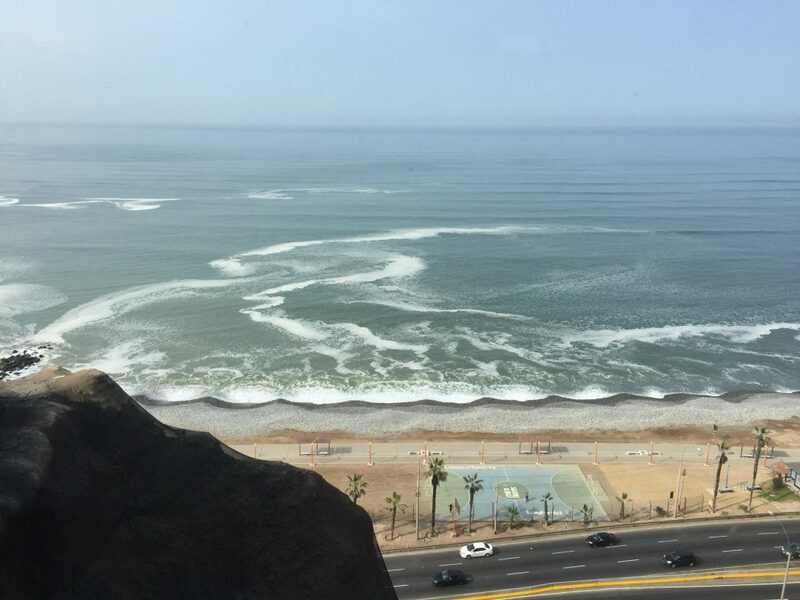 The Lima, an oceanic and hydrological civilization, started building this site in the fifth century. The site is experienced with a tour guide. There’s an English tour. Bring water. Alright, so the environment is dry and most of the stone in the area is round and its mostly fine sand. You spent a few years consolidating control the water, you’ve established yourself as the top dog in the hierarchy and you need some kind of story to keep peasants and pretenders alike in line and in their place. How are you going to express your power and reinforce a story? It’s obvious that you’re going to need a big building. But you don’t have a lot of rock. If you got sand, water, shells, and sun, you got yourself some bricks. 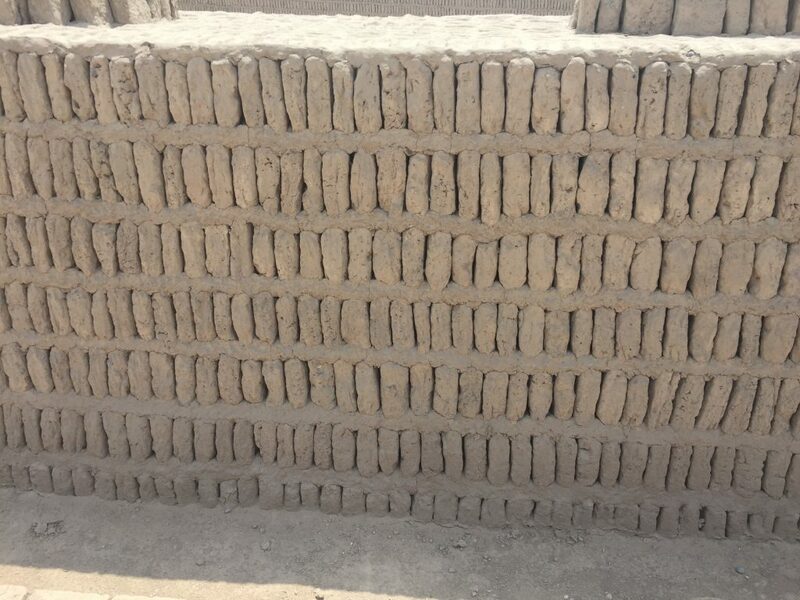 Go ahead, show off your power by diverting precious water to your story, command some labour, and stack the bricks like bookshelves, and you got yourself stability against earthquakes. Their story lasted for couple hundred of years before they gave way to another civilization, then another, and then Pizarro showed up. Pizarro controlled the water so he controlled the town. History doesn’t repeat, but it rhymes. I hired Miraflores for the food. The food didn’t disappoint. All eight meals were fantastic. I didn’t eat a single fish, squid, cow, pig, egg, chicken, cheese or avocado that I did not enjoy. The core ingredients found here are very good, with the seafood taking centre stage. The preparation ranged from excellent to masterful. The cuisine doesn’t regress in a way that I’m familiar with. Food in restaurants in international areas of international cities tend to regress to a mean palette – overboiled, overfatted, and oversalted. The cuisine in and around Miraflores resists regression. It’s vibrant, fragrant, and bright. It’s lime, lemon, tangerine, mango, pineapple, and grapefruit. I haven’t experienced anything quite like it, and it exceeded expectations. Most places accept credit cards and there are Scotiabank ATM’s along Jose Larco. Most Canadians won’t feel comfortable in the Lima District. My own perception, given the number of children and police officers along the major boulevards, is that it’s alright. 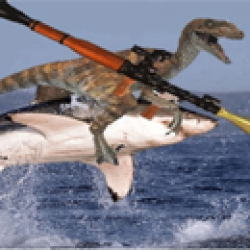 The economic environment suggests that there isn’t enough security to support higher order economic activity like retail or leisure tourism, and I may not have been in a safe situation. At the time of writing, it’s probably best to avoid. 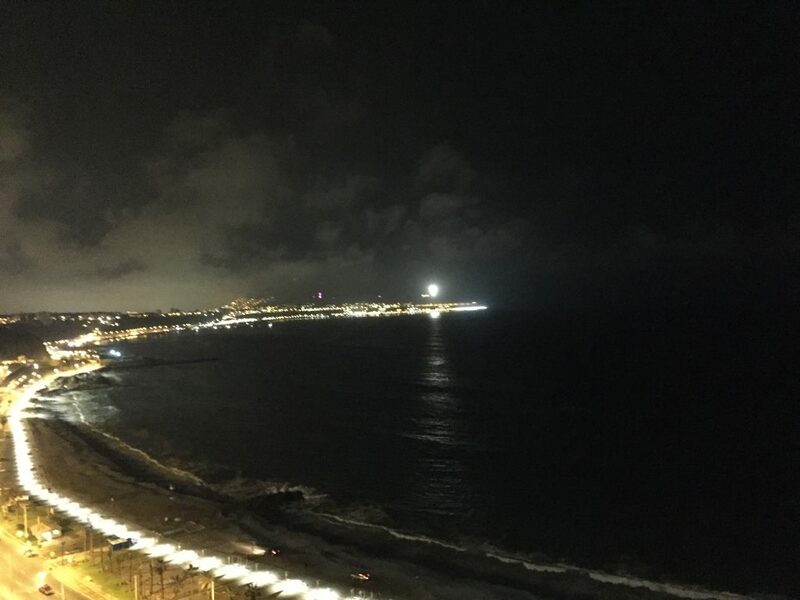 I had considered hiring Miraflores for recharging my batteries. While there is more than enough to eat in Miraflores, there isn’t more than enough to see. Security diminishes as one moves away from Miraflores, which limits the distance. It’s a good place to spend a weekend before heading inland into Peru. I don’t think that it is a full banquet or a destination city. It’s a nice amouse bouche. In looking at Independencia and Callao flying in, I didn’t observe many grey market satellite dishes on many roofs, and I didn’t see much evidence of capital accumulation. Maybe cable penetration is above 80% (The stats I saw had it at around 60%). I saw evidence of street hustle and core entrepreneurism. The poverty rate has fallen markedly over the past ten years and the city has a boom feeling to it. There are little liberty villages going in along the beach, the BRT’s appear to be functioning well. A serious amount of human capital went into teaching so many chefs and cooks to specialize. And they’re thriving. There’s very good evidence that that strategy is paying dividends. The key to reducing agricultural and industrial reliance is for the state to invest the proceeds from resource extraction into augmenting the social capital of the population. Managing that GINI coefficient will in turn expand the secure zone beyond Miraflores, which will only have a better reinforcing effect. Stability causes stability. My mind wandered a bit looking at the sand, the ocean, the sun, and the air. I thought about just how much fresh water there was in the air, how little of it was in the soil, and how much the sun was burning my skin. And then I thought, somewhat resentfully, about how the hierarchy always forced people into compliance hydrologically. From the dumbass that diverted so much water and waste into supporting his mud brick pyramid to Pizarro strangling the canal and driving everybody into conformity. And so I fantasized having everybody having the ability to eat the sun, squeezing the air of its water, and storing it until night time to feed the plants. 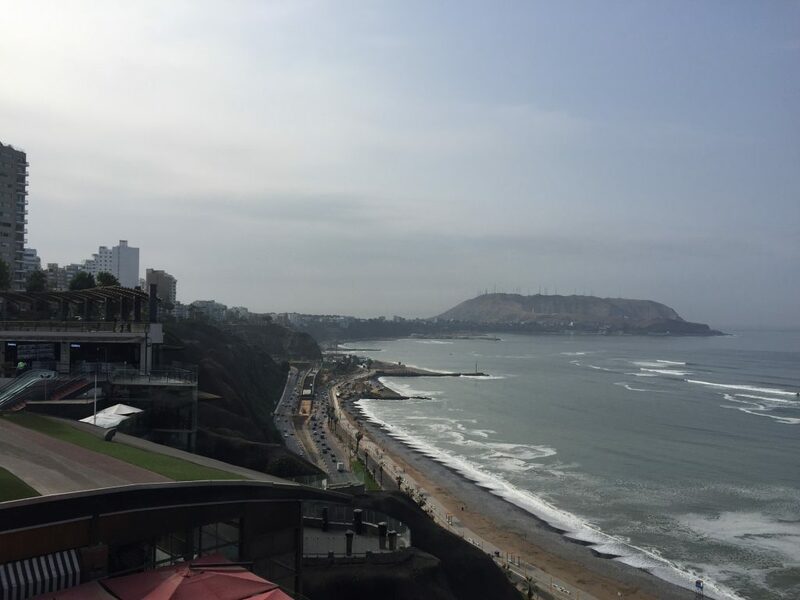 A weekend in Miraflores is enough before going inland, or moving onward to Santiago. It’s a nice area. The weather is very nice if you like muggy in the middle of January (And really, who doesn’t? ).